By leveraging current IYF connections and reaching out to new organizations, stakeholder engagement and outreach were conducted to gain an understanding of the U.S. programs, services, and initiatives working to reconnect youth and to identify opportunities for learning. This research included in-depth interviews, focus groups, desk research, and site visits. Use of nontraditional approaches and/or incorporation of nontraditional stakeholders. Conduct desk research of promising practices in youth connection from Latin America and the Caribbean. 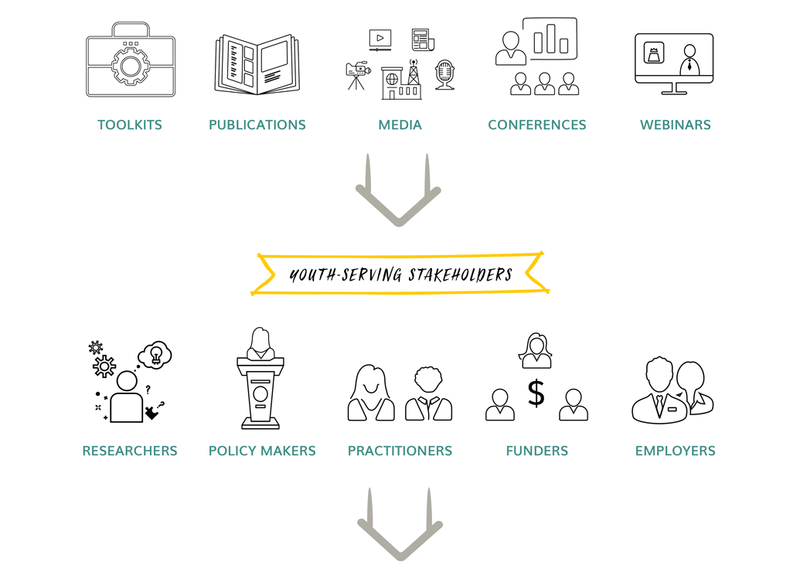 The (Re)Connecting Youth framework will include two to four targeted peer-to-peer learning exchanges between one or more U.S. youth-serving organization(s) and a global youth-serving organization, with the goal of sharing a promising practice from abroad with the U.S. organization(s). 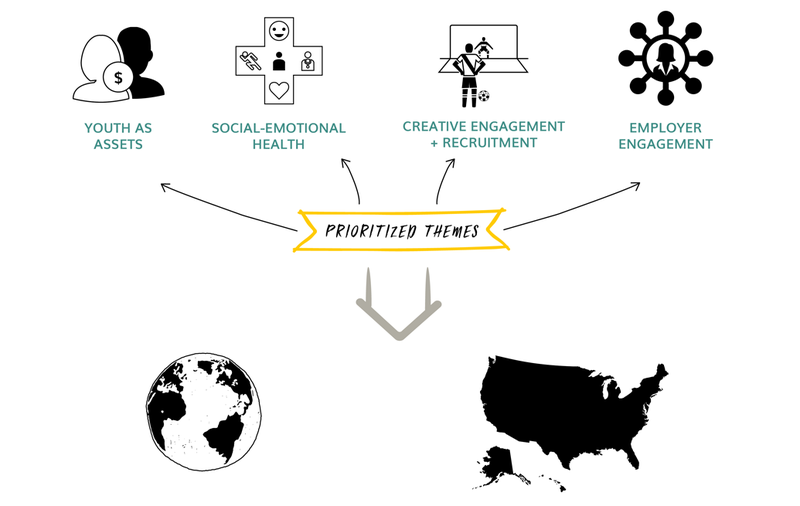 Organizations are paired based on what the U.S. organizations express as their needs in order to offer more effective youth services or programs. Global NGOs that can offer expertise or proven approaches that may help to meet those needs are paired with the appropriate U.S. organizations. The U.S. youth serving organizations will benefit from the exchange by participating in workshops, trainings, or document sharing on the global NGO’s methodology, in addition to site visits to see programming in person. The global NGO will receive increased visibility for promising practices and will have the opportunity to educate others on their programs and practices within the U.S. youth development space. Tell the story of the approach and why it is effective. Identify the distinguishing characteristics involved in the practice. Capture information that supports each critical element. 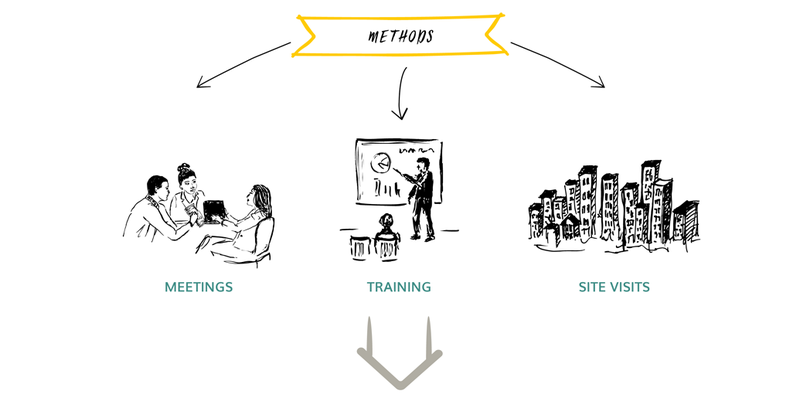 Identify the tools, processes, and systems that support the adaptation of the promising practice. Approaches will also be looked at collectively to identify core elements or values that underlie an enabling environment and demonstrate how approaches can be adapted or applied in a variety of contexts and settings. Learning products will bring together several products using the same intervention. To promote and foster adaptation of the promising approaches, the project team will disseminate the documented lessons through peer-to-peer learning methods, direct training, and distribution. These include, but are not limited to, webinars, speaking engagements and panel discussions, social media, etc. The project team will target a broad network of stakeholders in order to maximize reach. These stakeholders include: researchers, policy-makers, practitioners, funders, and employers. 8 - 12 learning products produced and disseminated through a variety of channels.